Draft: 2010, Houston Astros, 8th rd. Jake Buchanan was originally signed by Houston scout J.D. Alleva…his wife, Chelsea, is a sports anchor at WINK, the CBS television affiliate in Fort Myers, Florida…graduated from North Gaston High School in North Carolina where he was named First-Team All-State by the North Carolina High School Coaches Association and co-MVP of the Big South 3-A/4-A Conference…attended North Carolina State University…went 8-6 with a 3.86 ERA in 18 games (17 starts) his senior season of 2010…was teammates with Seattle Seahawks quarterback Russell Wilson. Spent the entire season at Triple-A Reno in the Arizona organization and was 11-9 with a 5.17 ERA in 27 games, including 26 starts…ranked second in the Pacific Coast League in innings pitched (156.2), third in wins and tied for third in games started…allowed the most hits (190), ranked second in runs (92) and tied for third in hit batters (9)…among qualifiers, he had the fourth highest opponents batting average (.304) and the fifth highest ERA…the hits were a career-high as were his 47 walks…matched his career high in games started and hit batters…tied for second in the Diamondbacks farm system in wins…surrendered just nine home runs in 156.2 innings, an average of 0.52 per nine innings…struck out just 86 (4.94 per nine innings)…allowed a .304 batting average, including .281 (82-for-292) against left-handed hitters compared to .324 (108-for-333) against right-handers…had a .338 opponents batting average with runners in scoring position… had a 5-7 record, a 5.99 ERA and .325 opponents batting average in 17 games before the All-Star Break…then went 6-2 with a 3.92 ERA and .271 opponents average in 10 games after the break… was 7-2 with a 4.55 ERA in 12 games on the road, 4-7 with a 5.62 ERA in 15 starts at home…went 1-for-20 (.050) with seven strikeouts as a hitter…tossed at least five innings in 22 of his 26 starts, including seven or more seven times. RENO: Allowed five runs in 4.0 innings in his first start of the season April 9 against Fresno and then made his only relief appearance April 15 at Fresno (1.2 ip, 2 h, 1 r, 1 er)…followed that up by yielding two runs or fewer in each of his next four starts from April 18 to May 4…went 1-1 with a 2.35 ERA over that stretch…had an eight-start, 48.2-inning homerless streak from May 15 to June 25…tossed 7.0 innings in back-to-back wins on May 15 against El Paso and May 21 at Fresno to improve to 3-3 with a 3.67 ERA over his first nine games…then allowed eight runs on 11 hits in a season-low 3.1 innings at Salt Lake May 26 and took the loss…struck out a season-high eight batters June 1 against Las Vegas…allowed six runs or more in five consecutive starts from June 13 to July 5…went 1-2 with a 9.93 ERA and .385 opponents batting average over that span…yielded a season-high 12 hits June 18 against Omaha…allowed one earned run or fewer four times over a five-start stretch from July 12 to Aug. 4 and was 4-1 with a 1.57 ERA…had a season-best fourgame winning streak from July 29 to Aug. 26 (2.58 ERA)…tossed a season-high 7.2 innings Aug. 4 against Oklahoma City…matched his season high with eight strikeouts Aug. 15 against Sacramento…allowed a season-high 10 runs on 10 hits and a season-high four walks in 4.0 innings in his final start Aug. 31 against Albuquerque. Played for 3 different organizations, spending the majority of the season in Triple-A with Iowa (Cubs), Louisville (Reds) and Reno (D-backs)...combined to go 7-3 with a 4.51 ERA in 21 games (19 starts)...Made 5 appearances with Cincinnati (8.16 ERA)...On disabled list from April 15-22 with right thumb contusion...Claimed off waivers by the Reds on May 25 and later signed as a Minor League free agent by the D-backs on July 6. Jake spent nearly the entire minor league season with Triple-A Iowa before being selected by the Cubs, September 1 ... went 1-0 with a 1.50 ERA (1 ER/6.0 IP) in two games with the Cubs, including 5.0-scoreless innings in a spot start, September 30 at Cincinnati ... Made his first start since July 31, 2014 vs. Toronto ... his 5.0 innings pitched tied his career-high and he allowed just two hits and one walk ... Made his Cubs debut September 5 at Milwaukee ... allowed a solo homer in 1.0-inning of relief in the Cubs 7-2 victory ... Went 12-8 with a 4.34 ERA (68 ER/141.0 IP) in 24 appearances (22 starts) with Iowa ... had a strong finish, going 2-1 with a 1.35 ERA (3 ER/20.0 IP) in his final three starts ... With Iowa, held righties to a .263 average (87-for-331), while lefties batted at a .302 clip (67-for-222) ... Tossed 7.0-scoreless innings, June 4 vs. Memphis, his longest scoreless outing of the season ... Spent Spring Training with the Astros but was released on March 31 and signed a minor league deal with the Cubs in early April ... joined Iowa, April 18. Jake made five appearances for Houston in his one stint with the Astros, posting no record and a 2.00 ERA (2 ER/9.0 IP) ... he spent the majority of his season at Triple-A Fresno, going 5-5 with three saves and a 4.76 ERA (43 ER/81.1 IP) in 30 games (seven starts) ... Began his year with Fresno, starting five of his first six games before a promotion to Houston on May 14 ... Pitched in long relief for Houston, tossing 2.0-plus innings in three of his five outings ... allowed just five hits in his 9.0 innings, pitching to a .161 (5-for-31) opponent batting average ... Was optioned back to Fresno, June 7 ... finished his season in the bullpen (except for one start) ... had a strong August, going 2-1 with two saves and a 2.66 ERA (6 ER/20.1 IP) in 10 games ... Was designated for assignment September 1, and outrighted to Triple-A five days later ... pitched for the Toros del Este in the Dominican Winter League, posting a 3-0 record and a 2.01 ERA (7 ER/31.1 IP) in seven games (five starts). Made his MLB debut with the Astros and pitched in 17 total games, including two starts...went 1-2 with a 3.46 ERA (10ER/26IP) and 17 strikeouts in his 15 relief outings...posted a 61.5% groundball rate (4.24 GB/FB), which ranked second on the club (min. 10IP)...had two stints with the Astros...began the year at Triple A after spending Spring Training with the Astros as a non-roster invitee...was selected to the Major League roster on June 21 before making his first MLB start that day...optioned to Triple A on June 27...was recalled to Houston on July 18 where he remained through the end of the season...was one of eight players to make their MLB debuts with the Astros this season...made his debut in a start against the Rays on June 21 at TB (5ER/4.1IP)...was one of three Astros pitchers to make his MLB debut as a starter this season, joining LHP Rudy Owens (5/23/14 at SEA) and RHP Nick Tropeano (9/10/14 at SEA)...earned his first Major League win on June 27 vs. DET in his second career game...tossed a perfect inning of relief, retiring the heart of the Tigers lineup in order (IF Miguel Cabrera, IF Victor Martinez, OF J.D. Martinez)...made 16 appearances (15 starts) at Triple A, going 7-5 with a 3.87 ERA (38ER/88.1IP), 46 strikeouts and 16 walks...at the time of his first promotion to the Majors, led all Astros minor leaguers with 76.1IP...named the Oklahoma City May Pitcher of the Month after going 3-1 with a 2.08 ERA over five starts, striking out 22 and walking just five...started the month with three consecutive scoreless starts spanning 23.2 innings...became the first player from the Astros 2010 draft class to make the Majors (RHP Mike Foltynewicz joined him later in the year). Began his year at Double A Corpus Christi and went 7-2 with one save and a 2.09 ERA (19ER/82IP), while allowing just nine walks in 18 games, including 13 starts...named a Texas League Midseason All-Star and earned the Texas League Pitcher of the Week for the week ending on May 6...went 36.2 consecutive innings without allowing an earned run from April 26-June 4...his totals in May: 4-0 with a 0.00 ERA in 27.2 innings pitched in six games (four starts)...allowed just 16 hits and two walks in the month en route to earning Corpus Christi's Pitcher of the Month Award...started his season 7-0 with a save before going 0-2 over his last two appearances...promoted to Triple A on June 26 and finished his season in the RedHawks rotation...made 12 starts at Triple A, going 5-5 with a 3.89 ERA (33ER/76.1IP)...eight of his 12 starts were quality starts...combined to go 12-7 with one save and a 2.96 ERA (52ER/158.1IP) in 30 games (25 starts) between the two levels...posted the third-lowest walks per 9.0 innings ratio (1.25) among pitchers who threw 100+ innings at the Double A and Triple A levels. Entered the season ranked by Baseball America as the No. 13 prospect with the 'Best Control' in the Astros system...began the season with Double A Corpus Christi and would go on to lead the Texas League with a 2.05 groundballs per flyball ratio (203GB/99FB) on the season...went 5-9 with a 4.96 ERA (74ER/134.1IP) in 27 games (19 starts) with the Hooks...pitched out of the Hooks rotation thru his first 19 games before being promoted to Triple A OKC on July 25 and made his first two relief appearances of the season (4ER/4IP) before making his only Triple A start of the season on Aug. 1 at Tacoma (5ER/4IP)...sent back to Double A after the start and finished his season with eight relief appearances...was 5-6 with a 5.00 ERA (62ER/111.2IP) in his 19 starts and 0-3 with a 4.76 ERA (12ER/22.2IP) in his eight relief appearances at the Double A level...combined to go 5-10 with a 5.25 ERA (83ER/142.1IP) at the two levels. Named the Astros Minor League Pitcher of the Year and a California League Midseason All-Star...also named a MiLB.com Organization All-Star...led the California League with a 2.31 ground ball per fly ball ratio (256GB/111FB)...ranked second in the league in WHIP (1.21), fifth in ERA (3.91) and innings pitched (158.2) and tossed one of only three complete game shutouts in the California League in 2011...allowed only one home run every 16.5 innings pitched, compared to Lancaster's team average of one home run allowed every 6.9 innings pitched...became the first Lancaster pitcher to start at least 20 games with the club and end the season with an ERA in the 3.00s since Brandon Webb did so in 2001 (28gs, 3.99 ERA)...finished his campaign 5-10 with a 3.91 ERA (69ER/158.2IP) while pitching in the extremely hitter friendly California League...made 25 starts with Lancaster, tossing one complete game shutout...allowed just four hits and three walks in the shutout on May 1 at Inland Empire...Promoted to Double A Corpus Christi for his final start of the season and tossed a gem, going 7.0 innings while allowing just one run on six hits, but did not factor into the decision..combined to post a 3.80 ERA (70ER/165.2IP) and a 5-10 record in 26 starts between the Class A and Double A levels. 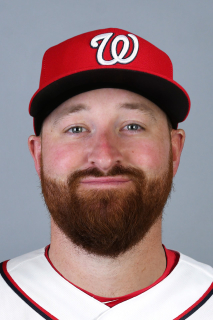 Drafted by Houston in the eighth round of the June 2010 draft on June 8 and signed his professional contract on June 9...reported to Class A Short Season Tri-City and made 14 starts at the level, going 4-5 with a 4.28 ERA (29ER/61IP)...allowed only three homers and walked just 11 hitters in his 61.0 innings pitched...among pitchers in the New York-Penn League with at least 60.0 innings pitched, his 11 walks allowed were only bested by teammates RHP Bobby Doran (9BB/71.1IP) and RHP Carlos Quevedo (8BB/85.1IP)...made his professional debut on June 22 at Lowell (2ER/2.1IP). November 12, 2018 Oakland Athletics signed free agent RHP Jake Buchanan to a minor league contract and invited him to spring training. November 12, 2018 RHP Jake Buchanan assigned to Las Vegas 51s. November 2, 2018 RHP Jake Buchanan elected free agency. April 4, 2018 RHP Jake Buchanan assigned to Reno Aces. December 26, 2017 RHP Jake Buchanan assigned to Gigantes del Cibao. December 19, 2017 Arizona Diamondbacks signed free agent RHP Jake Buchanan to a minor league contract and invited him to spring training. November 13, 2017 RHP Jake Buchanan assigned to Toros del Este. September 11, 2017 Reno Aces released RHP Jake Buchanan. July 6, 2017 Arizona Diamondbacks signed free agent RHP Jake Buchanan to a minor league contract. July 6, 2017 RHP Jake Buchanan assigned to Reno Aces. June 29, 2017 RHP Jake Buchanan elected free agency. June 29, 2017 Cincinnati Reds sent RHP Jake Buchanan outright to Louisville Bats. June 27, 2017 Cincinnati Reds designated RHP Jake Buchanan for assignment. June 18, 2017 Cincinnati Reds optioned RHP Jake Buchanan to Louisville Bats. May 25, 2017 Cincinnati Reds claimed Jake Buchanan off waivers from Chicago Cubs. May 22, 2017 Chicago Cubs designated RHP Jake Buchanan for assignment. April 22, 2017 Iowa Cubs activated RHP Jake Buchanan from the 7-day disabled list. April 15, 2017 Iowa Cubs placed RHP Jake Buchanan on the 7-day disabled list. March 23, 2017 Chicago Cubs optioned RHP Jake Buchanan to Iowa Cubs. November 3, 2016 Jake Buchanan roster status changed by Chicago Cubs. October 7, 2016 Chicago Cubs reassigned RHP Jake Buchanan to the minor leagues. September 1, 2016 Chicago Cubs selected the contract of RHP Jake Buchanan from Iowa Cubs. April 24, 2016 RHP Jake Buchanan assigned to Iowa Cubs from Eugene Emeralds. April 18, 2016 RHP Jake Buchanan assigned to Iowa Cubs. April 7, 2016 RHP Jake Buchanan assigned to Eugene Emeralds. April 3, 2016 Chicago Cubs signed free agent RHP Jake Buchanan to a minor league contract. March 31, 2016 Houston Astros released RHP Jake Buchanan. January 1, 2016 Houston Astros invited non-roster RHP Jake Buchanan to spring training. October 16, 2015 RHP Jake Buchanan assigned to Toros del Este. September 6, 2015 Houston Astros sent Jake Buchanan outright to Fresno Grizzlies. September 1, 2015 Houston Astros designated RHP Jake Buchanan for assignment. June 8, 2015 Houston Astros optioned RHP Jake Buchanan to Fresno Grizzlies. May 14, 2015 Houston Astros recalled Jake Buchanan from Fresno Grizzlies. March 29, 2015 Houston Astros optioned RHP Jake Buchanan to Fresno Grizzlies. July 18, 2014 Houston Astros recalled Jake Buchanan from Oklahoma City RedHawks. June 28, 2014 Houston Astros optioned RHP Jake Buchanan to Oklahoma City RedHawks. June 21, 2014 Houston Astros selected the contract of Jake Buchanan from Oklahoma City RedHawks. January 14, 2014 Houston Astros invited non-roster RHP Jake Buchanan to spring training. June 26, 2013 RHP Jake Buchanan assigned to Oklahoma City RedHawks from Corpus Christi Hooks. June 8, 2013 Jake Buchanan roster status changed by Corpus Christi Hooks. June 5, 2013 Corpus Christi Hooks placed RHP Jake Buchanan on the temporarily inactive list. August 5, 2012 RHP Jake Buchanan assigned to Corpus Christi Hooks from Oklahoma City RedHawks. July 25, 2012 Jake Buchanan assigned to Oklahoma City RedHawks from Corpus Christi Hooks. April 4, 2012 RHP Jake Buchanan assigned to Houston Astros. August 31, 2011 Jake Buchanan assigned to Corpus Christi Hooks from Lancaster JetHawks. August 27, 2011 Jake Buchanan roster status changed by Lancaster JetHawks. August 20, 2011 Lancaster JetHawks placed RHP Jake Buchanan on the 7-day disabled list. April 4, 2011 RHP Jake Buchanan assigned to Lancaster JetHawks from Tri-City ValleyCats. June 14, 2010 Jake Buchanan assigned to Tri-City ValleyCats from Houston Astros. June 10, 2010 Houston Astros signed RHP Jake Buchanan.